Deer season is nearing an end and many hunters have filled their tags while others are still waiting on that one special animal. It’s been over 16 years since I hunted (I guess I’m still hunting but these days I’m armed with a 500mm lens) but I still get excited at the site of a truly beautiful buck. The hunting industry seems to have gone a bit awry, obsessed with manufacturing genetically freakish antlers to fuel hunter appetites for that record book buck. To me, genetically modified nontypical freaks have become somewhat grotesque. I much prefer the beauty of a big typical (natural) deer. On this day, I woke up at 5AM, packed my gear in the truck, then drove to the ranch for my day’s hunt (yes, I was using a camera but I was hunting just the same). I had no idea what I would see on this day and that’s part of what I found exciting. At mid-morning, this buck appeared from the thick brush with his nose to the ground. It’s not often that one captures a mature buck like this in the open and in broad daylight, but when one does, it likely has something to do with the rut and a buck’s interest in finding a lady suitor. That was certainly the case here as he was hot on the trail of a doe in estrus. I tracked him through the lens, gave a slight vocal grunt to get his attention and have him stop. When he looked up and locked his ears on the sound I made, I took my shot and bagged my trophy for the year. That, my friends, was a thrilling hunt. Photographically, what made this shot possible at that late morning hour was the overcast day. A bright sunny day would have ruined this moment with too much contrast/shadow. With the overcast sky, I had softened light that allowed me to photograph longer this morning. Overcast skies can be dull from a color perspective but setting the white balance to cloudy enhances the colors. I have been getting that question a lot lately as I all but disappeared completely from my blog posts. However, I have been here and busy as ever. I have continued my nature photography exploits but I have nearly doubled, tripled even, my involvement in sports/action photography. For the past year, the sports photography has dominated my time and since I’ve tried to keep this blog dedicated to my wildlife/nature pursuits, I didn’t blog about the sports stuff. So, let me give you a brief update on my near-term plans: 1) I will get back to my first photographic passion (nature photography), 2) I’ll continue expanding my sports/action photography, and 3) I’m committed to getting a YouTube channel started that will mostly be about nature and sports/action but since I plan on doing that for fun, I’ll share other things that I enjoy (gear reviews, BBQ, and other general interests). WHATS NEW ON MY BLOG? : I have added a new page for Gear Recommendations. I find that I’m always answering questions related to gear so I put together this page to help others. That’s it for now but I’ll leave you with a few sample nature images. I’ll update you once my YouTube channel is up and running. Until then…. I’m back after a bit of a delay. 2016 has been an unbelievably busy year and I’ve had to sacrifice the time I would normally dedicate to my blog. One does what he must and while I had to do that…right now, I must share the following image with you. 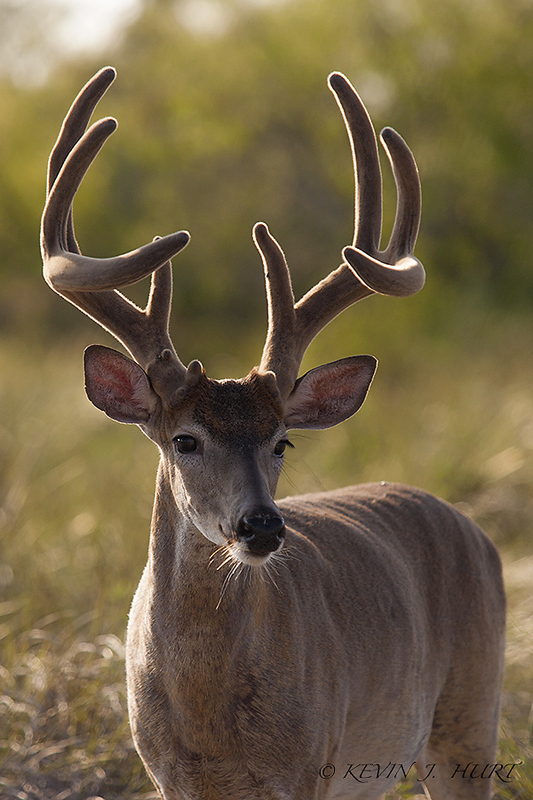 This beautiful whitetail buck is exhibiting a behavior that many hunters and avid naturalists alike recognize and commonly refer to as…the lip curl. Technically, this is called the Flehman Response, which is a name derived from the German verb “to curl.” This is a breeding behavior that occurs between late October – early January in the USA based upon geographic location. Bucks in Northern states (e.g. Iowa) may hit peak breeding time in November whereas in South Texas, peak breeding occurs mid-December to early January. So what purpose does the lip curl serve? Basically, the lip curl exposes an organ in the nasal cavity and allows a buck to get a deep whiff of something. In this case, he is trying to get a deep whiff of a lady friend with whom he hopes to hook up with…if you know what I mean. It’s been awhile since I last posted on the blog. Life has simply been very busy. I visited Texas over the Christmas break and it was good to be back in the Lone Star State. I’ve sure missed that Texas BBQ. As you can imagine, I also visited a few of my favorite photographic spots while there. I’ll have more images to share once I download and go through them all. However, I simply wanted to share this one Whitetail buck and wish each of you a very Happy and Prosperous New Year. Here’s to a wonderful photographic 2015. 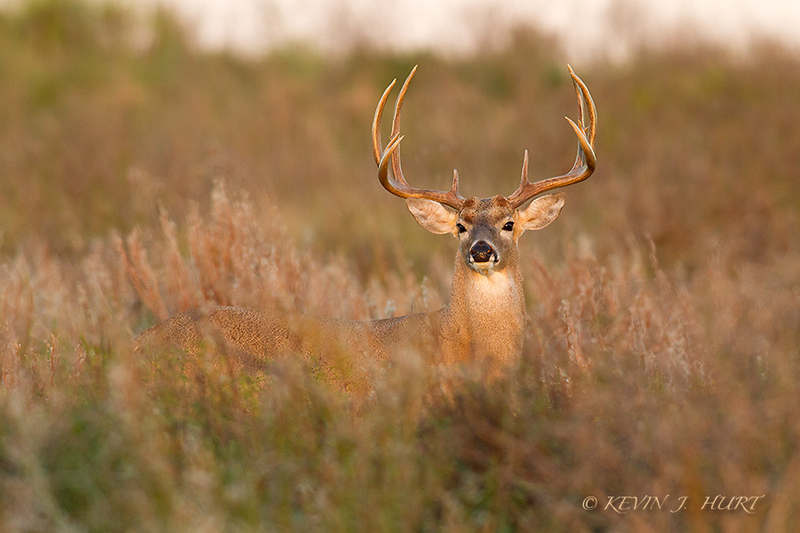 I was going through my whitetail files and found this image I had taken a couple of years ago. I thought I would share this now because it serves as a good example of why I generally do not delete photos if they are sharp. This buck came in so close that I had no choice but to crop the legs off in the composition. Missing legs can be a distraction to some viewers but since this photo was tack sharp, I filed it away and forgot about it. Looking for a different image in my files yesterday, I came across this photo. Seeing it again two years later, I decided to process it because it had many things going for it. Sharpness has already been mentioned, but the backlighting has formed a beautiful rim light around the velvet antlers and these really pop against that warm, creamy background. The buck has a very alert pose, with ears finely attuned to whatever has captured his gaze. Taken in unison, these things make for a very pleasing image. I’ll leave it up to each viewer to determine whether this photos’ strengths overcome the missing legs but as for me, I am happy to have it in my files.